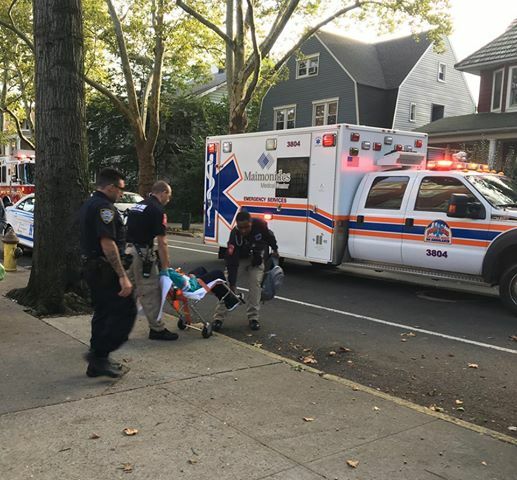 DITMAS PARK – A ten-year-old boy was hurt in a hit and run on Argyle Road, right next to the PS139 Playground. The ten-year-old may be a student at PS139, according to those who witnessed the accident. Witnesses said that a silver car with KSX 6323 license plate hit the boy in the side and hurt his leg, but he remained conscious. The car stopped briefly, but then sped off and left the scene of the crash towards Beverley road. The incident took place around 5:30pm. Despite requests from witnesses, the driver refused to wait for the police. Cars come speeding up Argyle Road to avoid traffic on Coney Island Avenue, and over the last 10 years, two speed bumps have been added to the block. However, the speed bumps are just past the playground, not before. We need more speed bumps on every street in Ditmas Park–especially Rugby Road. What we need is a speed camera. So many reckless drivers.